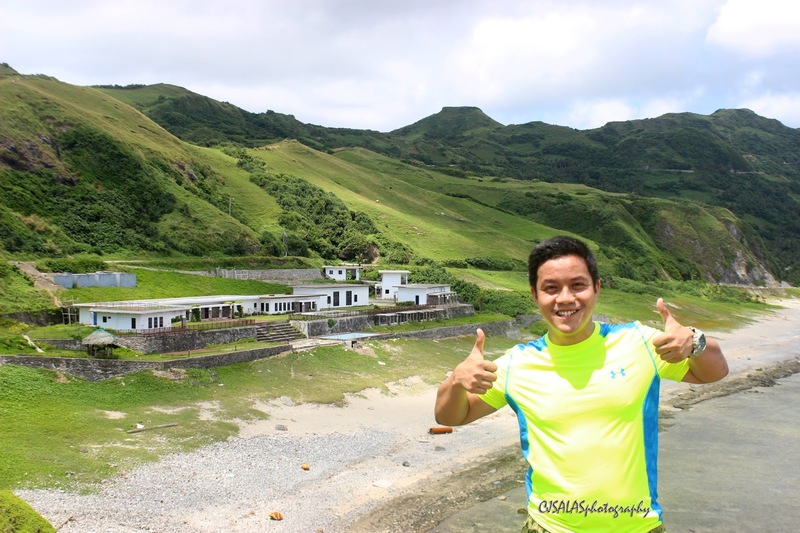 First stop, Chawa Viewing Deck! It may not be the usual scene in many islands in the Philippines of seeing tidal waves smashing huge rocks, Chawa Viewing Deck is a perfect spot to appreciate nature's beauty. 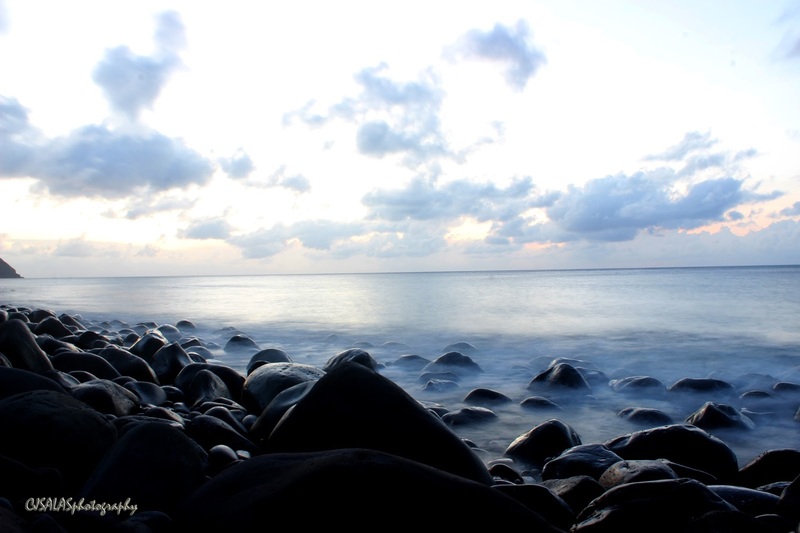 The strength of each wave smashing the rocks create a white bluish after wave bubbles and usually creates misty effects nearby. There's also a stair going down and have those pose with this beauty. 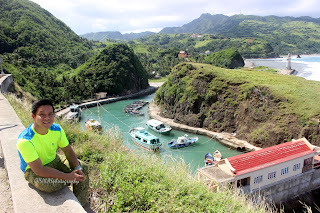 Then, we proceed to the Mahatao Boat Shelter Port. 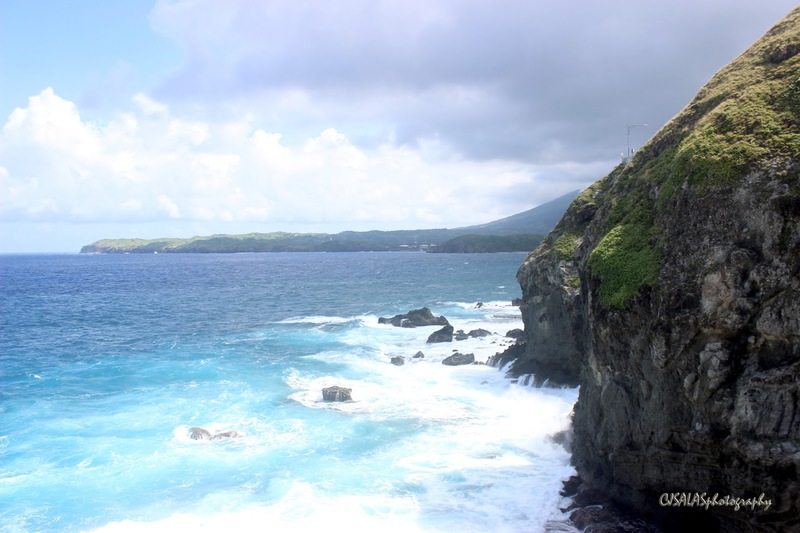 As huge waves really are all-year round in Batanes, the Mahatao Boat Shelter port serves as the refuge of the boats against those waves. It is protected by another island as seen in the photo. Again, another site not frequently seen in many places in the country. There's also another lighthouse being constructed nearby. 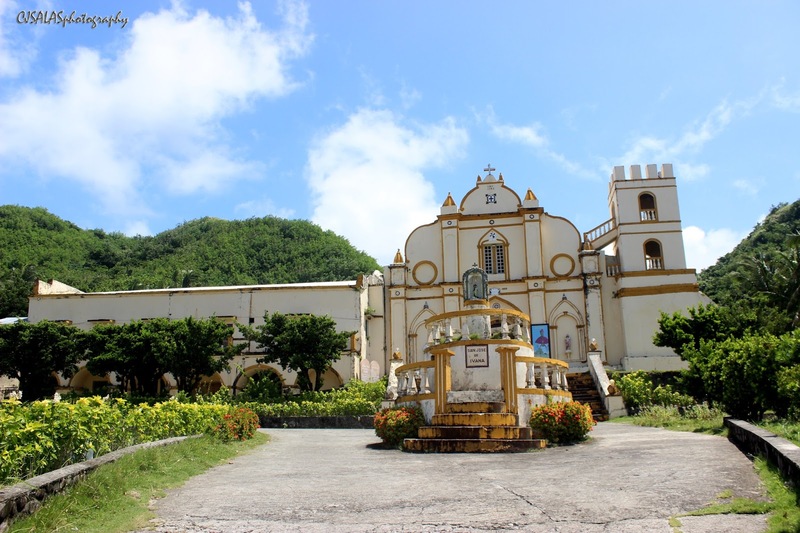 Then, the Blank Book Archive and the San Carlos Borromeo Church. 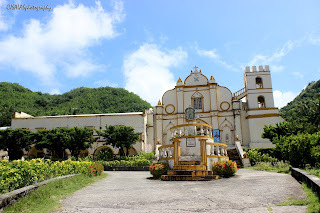 San Carlos Borromeo Church is one of the churches in Batanes and home of the blank book archive. 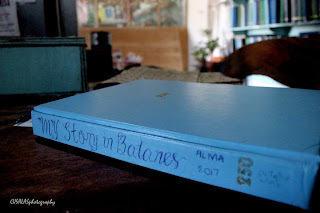 The blank book archive is a place where you'll write your story in the blank pages of the book. It is an unusual activity but a good thing to experience. It is also a simple gesture of a guestbook. Nearby the church is a Spanish lamp post that is manually lit with fire that will serve as guide for the fishermen used during the Spanish Collonial period. Then, we proceed to the Municipality of Ivana. 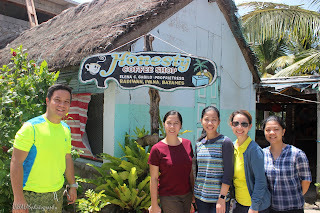 Ivana is home of many tourist spots such as the House of Dakay. It is one of the oldest preserved, authentic Ivatan house. It is also known as the Estrella House. 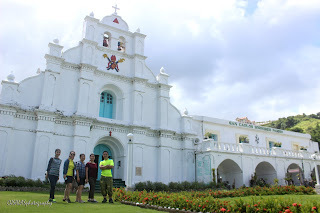 Then, another church, San Jose de Ivana Church and the most famous honesty store! The honesty shop is at times not a supervised store. Your honesty is tested in the store. However, as many guests flock and not all the time that they are honest, the safe for the payment is being locked and what you have dropped will not be changed with smaller bills or coins. Better to bring much of smaller bills and experience to shop here. Then, from time to time, somebody will check on the inventory of goods and replenish it. 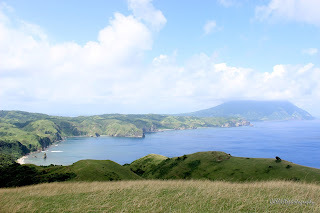 Then, moving forward, you'll see the "Blow Ur Horn" signs and the Alapad Hills and Rock Formation. 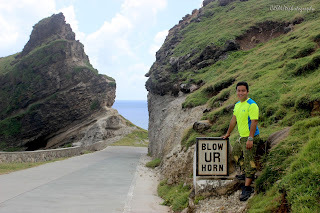 The sign "Blow Ur Horn" reminds the drivers to blow the horn as it is a blind curve. It will help the drivers caution to a coming vehicle. 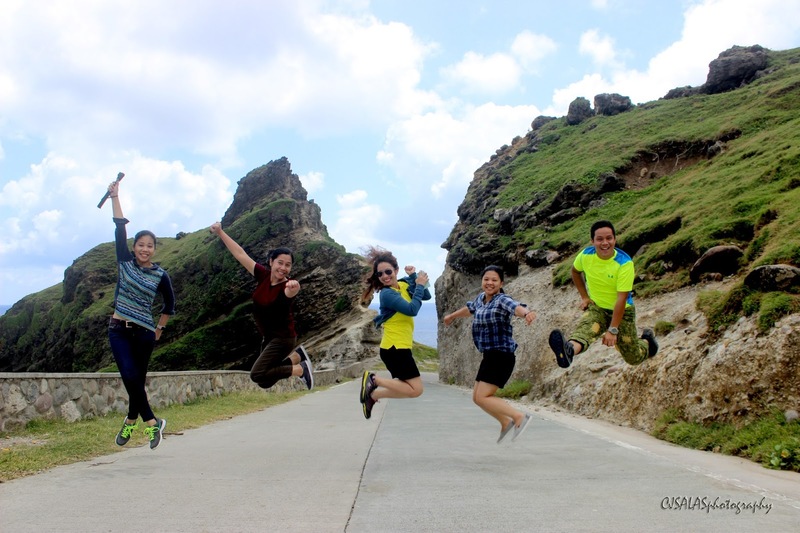 The Alapad Hills and Rock Formation is one of the most tourist friendly spot in Batanes. You can have your jump shot in the middle of the road and the rock formation as your background. That is really one fun shot. Before proceeding to Racuh a Payaman for lunch, we passby San Lorenzo Ruiz Chapel. 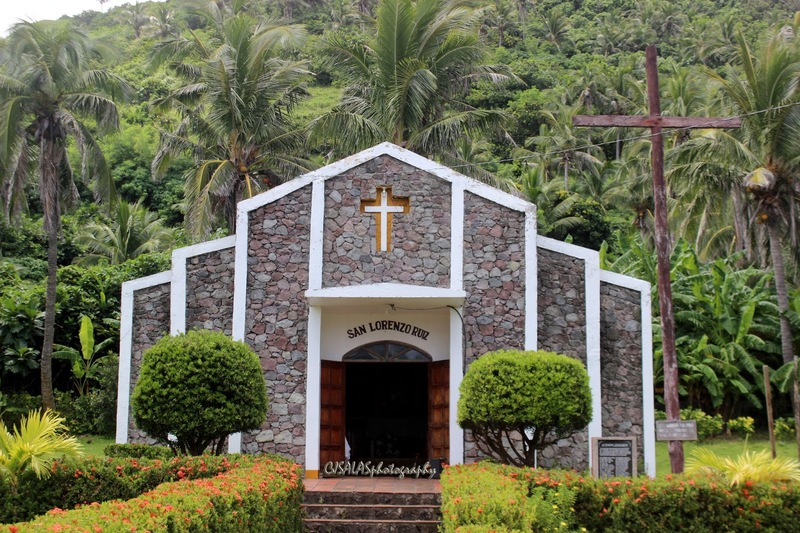 A cute chapel in the small community of Imnajbu. The Marlboro Hills is a place of many cattles. 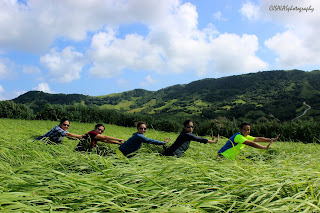 Well, one of the industries in Batanes is cattling. 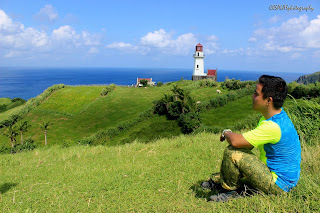 Then, our final destination is just nearby the Mahatao Tayid lighthouse. It is a lighthouse built in a private space. There's also a lot of cattles near wherein the liveng serves as the boundary for the cattles. It is very windy in the area and the heat of the sun is really pressing inside. 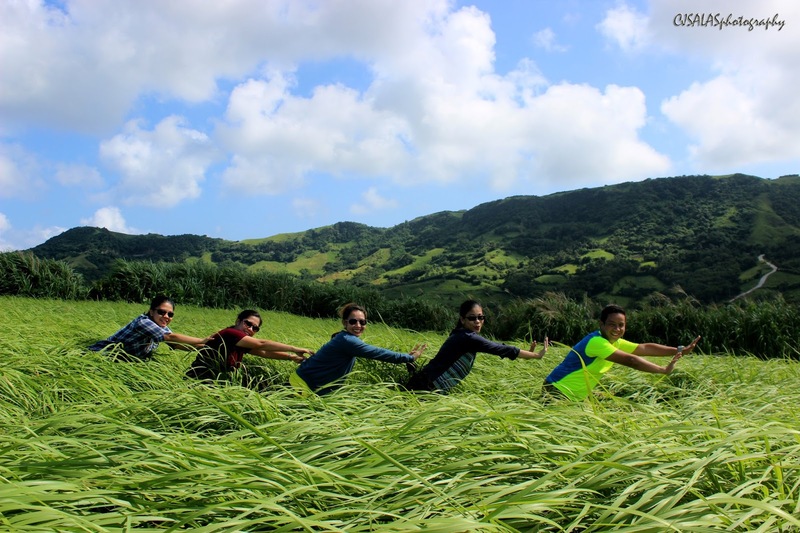 So, our final photos are very playful; we are against the odds and jump shot in the middle of the tall grasses! Actually, there are many more places we have passed by such as the Ruins of Songsong and the Old Spanish Bridge. Indeed, Batanes is such a treasure of the country. 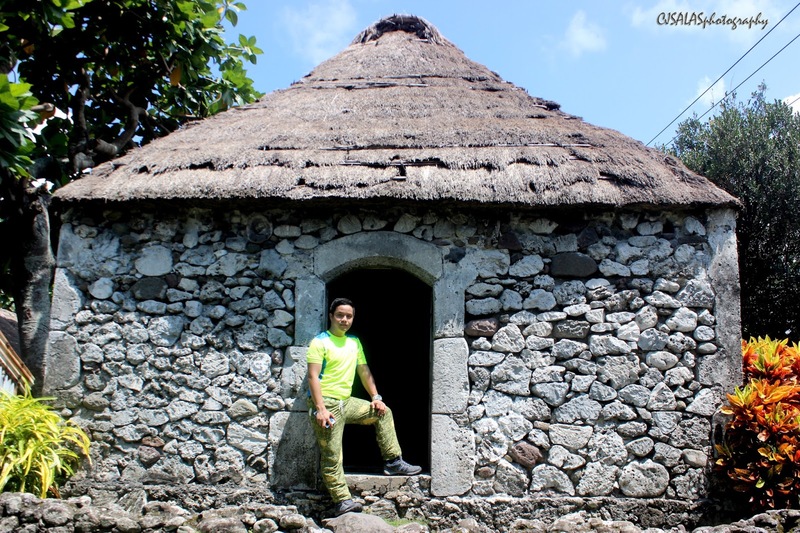 It is like a group of islands of living museum. So much more to experience. 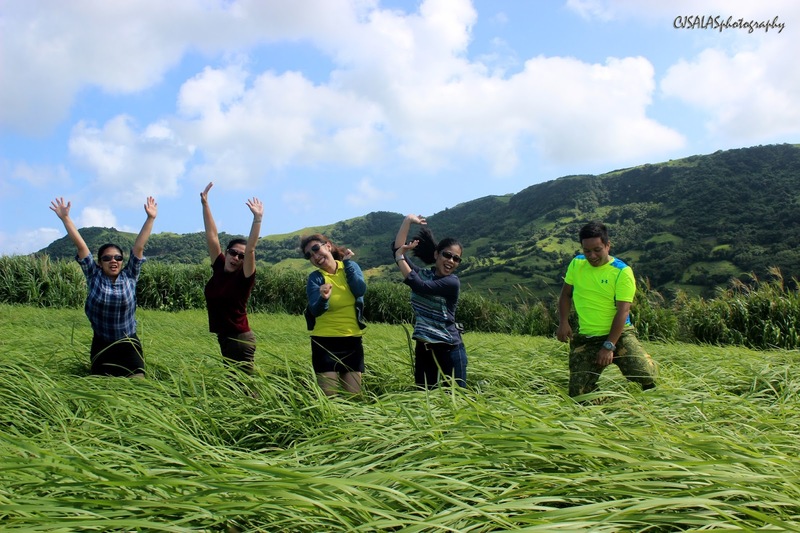 In the three days of exploring Batanes, it is such a joy! However, the second largest island which is Itbayat is also an island worth exploring! Perhaps, next time... It is also a very lucky trip to Batanes; it is supposedly a very rainy weather because there are two typhoons visiting the country that time, however the typhoons have gone to opposite directions making Batanes a clear spot! Thank God! I hope you guys also enjoyed the three-part Batanes tour. Check the first part HERE and the second part HERE!